Your secret weapon for pre, during and post-race. Many runners fall into the trap of not dedicating enough time to recovery or addressing signs of soreness head on. Runners often get too focused on pushing through to race day that they don’t take the needed preventative measures. One “secret weapon” that runners have been turning to for years is Biofreeze, the #1 clinically recommended topical pain reliever. Learn more at biofreeze.com. 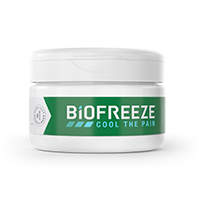 Biofreeze uses cryotherapy to help delay onset muscle soreness and provide temporary relief from aches and pains. 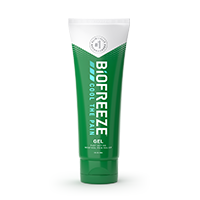 Biofreeze is fast-acting, long-lasting and nearly twice as effective as ice. 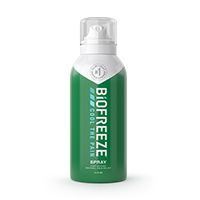 Biofreeze is especially effective for runners as it is great for pre, during and post workouts. It’s a great option for runners who want to be able to easily tackle their soreness on their own. Where can I find it on race day? For the first time ever, Biofreeze will be included on-course for runners. At the Biofreeze Relief Zone located in Chinatown, at the Cermak and Archer intersection (Mile 21.2), Biofreeze Brand Ambassadors will be offering complimentary sprays to help runners push through the wall and tackle the last 5 miles. Biofreeze comes in four different forms – spray, roll-on, gel and cream. Spray and roll-on are great for easy application, while gel and cream are effective at targeting specific areas. All forms can be found at your local retailer (CVS, Walgreens, Target, Walmart, etc.) and can be ordered online.